You've woken up, taken a shower, and opened your closet. Gentlemen, it is time to get dressed. Let's talk about your first outfit- your outfit for the office. Going to the office can differ from person to person. Those who work in the tech industry, like myself, have much more freedom to wear casual clothing day-to-day. Jeans, T shirt, even flip flops are all fair game. Clearly a stark contrast from the days when I used to work in financial services. Back then, it was business casual on a daily basis, with the occasional suit for important client meetings. Since occupation really matters when it comes to proper attire, please take my words with a grain of salt. Some people have to wear uniforms, some work from home in their sweatpants, and some work at places where the job requires constant physical activity. In all these situations, outfits will obviously differ from what I propose, so let's just say my recommendations will cover more of a generic office setting. 1. In an office setting, no matter how casual, I think it's still important to look as good as you can, so my first preference is to ditch the T shirts, polos, and short-sleeve dress shirts, and stick with a long sleeve button up shirt. 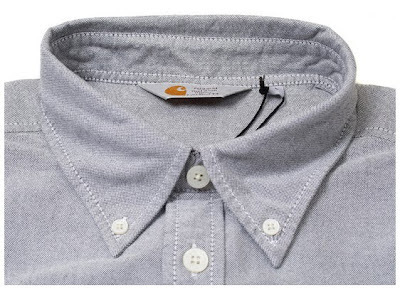 The more casual the workplace, the more casual the button-up can be. Here are some things that distinguish a more casual button up from a more formal one. I say stay away from being too formal. Leave most accessories attached to the shirt at home (tie, tie bar, cufflinks), and roll up your sleeves if it gets too hot or you'd like to be even more casual. 2. Now for pants, it again depends on the environment you're in, but I think your best bet is a pair of solid-colored slacks (grey or navy). If you'd like to be a bit more casual, I'd try a solid pair of dark-wash jeans or slim chinos/cords. Shorts are a no-no, patterns like camo and designs on back pockets (apart from simple lines) are also a no-no. This is not an area that you want to attract attention to. Keep it conservative, but of course well-fitted. 3. Shoes need to be a form of leather. Unless it's casual Friday and you have leeway to wear whatever, I would make sure to stick with some sort of leather shoe, whether it be dress shoes, suede boots, or whatever. This is critically important in my mind, because shoes actually make a far larger impression on other people than you might initially think. I've said it before, and I'll say it again... leather shoes distinguish a boy from a man more than any other piece of clothing in your outfit (in my opinion, that is). For more formal situations, go with cleaner designs (like staying away from wingtips or any type of brogues), and stick with black or brown only. Oxfords and derbys will be your best bet more formally, loafers can be good once you get more casual. 4. As for accessories, I would say a watch and belt is about all that you really need. Stick with leather or steel band watches (of normal size... as watches larger than 47mm are kind of gaudy at the office) and belts that roughly match the color of your shoes. 5. Now, to top it all off, you should enter the office with some sort of outerwear. Whether you keep it on during the workday is up to you, but having a sports coat / jacket / overcoat / sweater is a good way to mix things up a bit between being at the office and being outside of it. There you go! Maybe you knew everything here, maybe you didn't. Either way, I think your office-wear is going to be what you have on for the longest part of the day, so it's important that things FIT well, and are matched well in colors / patterns / etc. When in doubt, keep it simple, and remember, this is not a setting where you want to stick out like a sore thumb.